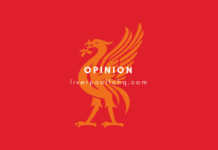 Home Columnist Do LFC Keep or Sell This Full Back? Do LFC Keep or Sell This Full Back? 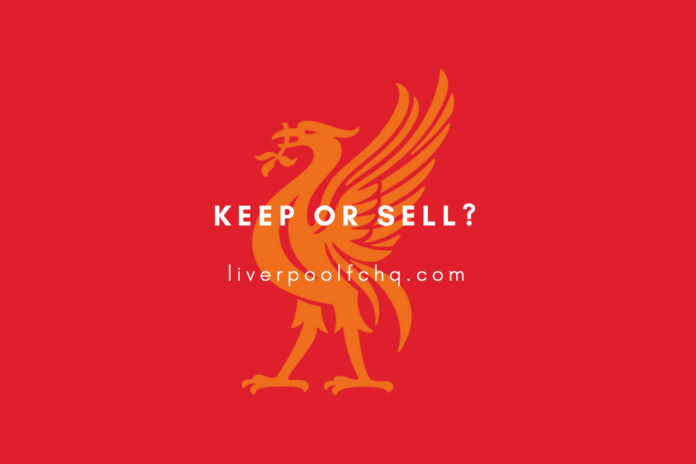 Welcome to Keep or Sell on LFCHQ where we take a look at certain Liverpool players who could have question marks over their futures and give our opinion on whether we (each individual writer) think they should be, well, kept or sold. You can also vote on a Twitter poll that will be linked at the end of this from @LiverpoolFCHQ_. Also, if you want to catch these polls first then I’d suggest you follow. Anyway, our first player we’re going to look at is someone who has divided the Liverpool fans like few others: Alberto Moreno. Joining the club from Sevilla in 2014 for £12 million, Moreno was fresh off an impressive season for the Andalusians which had seen them win the Europa League. His form as an attacking left back in that side had seen him make the provisional Spain squad for the 2014 World Cup and he was highly rated in his homeland. He was seen as the answer to Liverpool’s perpetual left back problem with all manner of people having to fill in there throughout the years. Sadly, that has never quite worked out like Brendan Rodgers, Jurgen Klopp or any Liverpool fan hoped with Moreno’s form being described kindly as ‘patchy’. For every good game or exciting thrust forward, there is a catastrophic error or question mark over his defensive capabilities. The first reason for keeping Alberto Moreno is ability. Going forward, he is unquestionably excellent. In many ways, he’s one of our best attacking players in that he offers so much threat going forward when he plays. He’s quick, comfortable in possession and confident in his ability to take men on. He’s a real asset. Secondly, there’s his attitude. Moreno has come in for heavy criticism from both fans and press at least once a season since he arrived at Anfield but has never once bitten back and never once hidden from his mistakes. In fact, he could easily have upped sticks and asked to leave when he only started eight league games in 2016/17. Instead, he got his head down and worked harder to improve on what Jurgen Klopp wanted him to improve on. Finally, there’s the fact that Jurgen Klopp actually wants him around. Moreno’s not been short of suitors the last couple of years with both Milan clubs credited with interest last year and both Napoli and Swansea City having bids rejected for the player. Klopp has always come to the defence of Moreno and has always given him chances to impress. The faith is always there so the boss obviously sees something he wants to have around. The most obvious issue with Alberto Moreno is his defensive abilities or lack thereof. Personally, I don’t think he’s as bad defensively as he used to be but there are certainly areas of weakness still in that area of his game. He very often loses concentration defensively and can find himself regularly out of position because of that. Add that to the occasional catastrophic performance and he is the first to be scrutinised when Liverpool falter in recent years. The other obvious issue with Moreno is his lack of playing time. In his first two seasons, he played 91 games in all competitions for the Reds but his last two seasons have seen him play just 45 games in all competitions thanks to form and Andy Robertson. 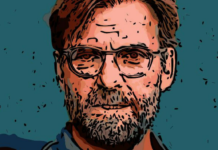 While it’s all well and good Klopp believing in him and the player having a great attitude, there comes a time where Moreno is just taking up a squad space to make up the numbers at this rate. In truth, I’d keep Alberto Moreno. For me, he’s too good to get rid of and he can offer so much more than being an option at left back. I’ve always felt his skillset lends itself more to that of a winger, getting to the byline and getting crosses into the box. That kind of versatility could be extremely handy for Liverpool moving forward with different attacking options needed if Mane and/or Salah get injured or struggle for form. Those are just my thoughts though. Do you think Liverpool should keep or sell Alberto Moreno? Vote in the poll below and have your say over at @LiverpoolFCHQ_. Do you think #LFC should keep Alberto Moreno or sell him this summer? 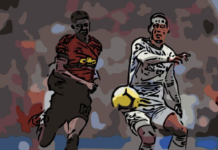 Next articleWho should be the man to partner Virgil Van Dijk?